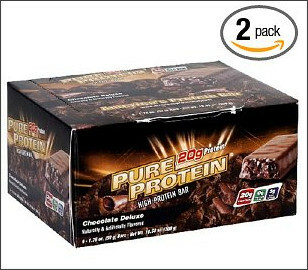 Amazon has a great deal on these Worldwide Pure Protein Bars ! You can get a 12 pack of either Chewy Chocolate Chip or Chocolate Deluxe for $11.72. If you sign up for Subscribe & Save (you can cancel it later!) you will save another 15%, which brings the total to only $9.96 (that's only .83 a bar)!! That's a great price for these bars!